So, you're a hip mom-to-be struggling to find trendy, tall maternity jeans. I know how hard it is to find long inseam jeans even when not pregnant. Add in a growing belly and it makes it that much harder. Fashionable, tall maternity denim is out there, but for those 6'0" and over, your options are, unfortunately, going to be small. I've done a lot of searching and my findings are on this page. If you need bottoms in a 34" inseam, you have more choices. You'll be able to find a variety of rises, cuts, and finishes as well as options in panel styles such as side panels, demi panels, and full panels. Good news for you! Below, I've picked out a few denim styles you may be interested in. For more, scroll on down to see my tall maternity store list. I hope you find what you're looking for! Old Navy is a store you're likely familiar with already. 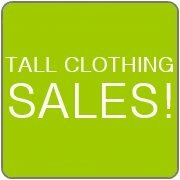 They have many retail locations, however, for their tall maternity jeans and pants, you'll have to shop online. If you're 6'0" or under, I would start looking here first. Their bottoms come in a 34" inseam and they have a wide variety of styles and panel options all at reasonable prices. Plus, get free shipping on a $50 order and free returns to stores! 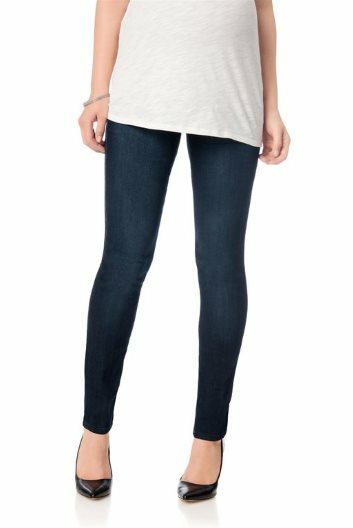 Gap offers a collection of maternity jeans and pants in 33" and 34" inseams, which would work for those pregnant mom-to-be's who are between 5'9" and 6'0". You can choose from several different panel styles as well. Like Old Navy, if you make a $50 or more purchase, you'll get free shipping and also free returns to any of their many retail stores! Destination Maternity is a specialty maternity shop that has a line of Motherhood brand jeans and pants that come in 34" inseams. They are reasonably priced, too. You can also sometimes find longer inseams in their Pea in the Pod category which includes pricier designer options. Long Tall Sally is a tall women's shop offering a small selection of long maternity jeans and pants mostly coming in 36" inseams. Sometimes they also have an option for long maternity leggings. While their maternity section doesn't include many products, what they do have will be some of the longest length options you're going to be able to find, so if you're 6'0" or taller, I'd say check here first. RG Maternity specializes in tall maternity clothing. That's the only thing they sell. It's a small shop, but they do offer long inseams in jeans and pants...even up to a 38" inseam! They also carry a small line of tall maternity shirts and jackets. 9 Months to Grow has a collection of maternity jeans in up to 35" inseams as well as a small selection of long maternity pants.